Heavy funk from a hip Japanese combo – one that features lots of drums and percussion from leader Akira Ishikawa, plus plenty of guitar, keyboards, and hard-riffing horns! 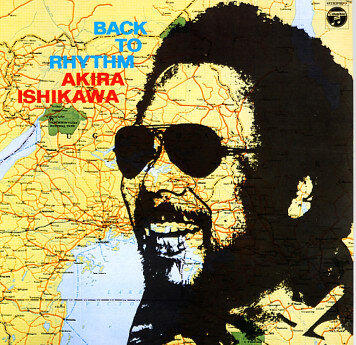 Akira's taking most of his cues here from American funk of the early 70s – work by Incredible Bongo Band, BT Express, and others – but he often serves up the music with a fair bit of conga work at the front of the arrangements, in a way that takes familiar tunes and gives them a much rootsier, earthier kind of groove! The approach is unique, but totally great – and the album's a funk album unlike anything else we can think of – quite unusual even for the experimental Japanese scene of the time. Titles include "Bongo Rock", "Pick Up The Pieces", "Do It Til You're Satisfied", "I've Got To Use My Imagination", "Let's Start", "Love Is The Answer", and "Boogie On Reggae Woman". © 1996-2019, Dusty Groove, Inc.